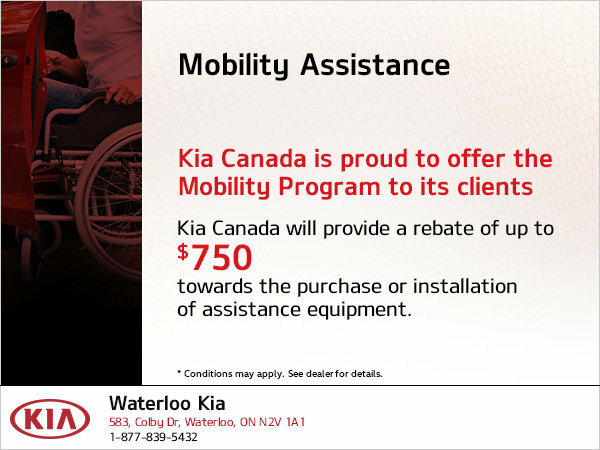 Kia Canada welcomes the opportunity to assist individuals who require adaptive aid to drive a Kia vehicle! We'll provide up to $750 towards the purchase and installation of specialty equipment on your Kia vehicle. Adapt your vehicle to your needs!